If the roof on your commercial property were to fail due to damage or excessive wear, it could put your business in a very difficult spot. 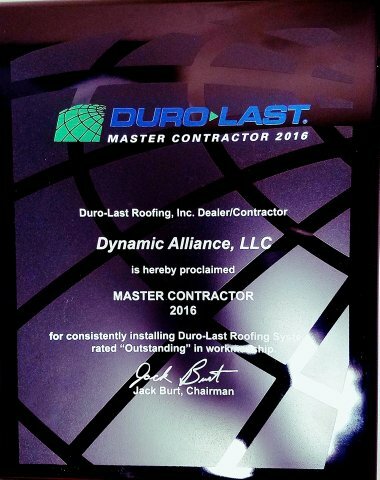 At Dynamic Alliance Roofing, we realize how essential a roof is to a business, and we strive to provide the best possible commercial and industrial roofing services to companies in Wisconsin. Whether you have a flat roof on your property, a slanted roof, or some combination of the two, our team of professional roofers can assess the damage and fix it accordingly. In addition to repairing commercial and industrial roofs, we can also offer full roof installations and replacements. If your property has an aging roof that’s fallen into disrepair, you may want to consider replacing it sooner rather than later. Over the past two and a half decades, Dynamic Alliance Roofing has worked with many companies in Central Wisconsin and the Fox River Valley from Green Bay to FonDuLac. We have provided them with the answers to their commercial and industrial roofing problems. We don’t rest until your roof is repaired or installed, and we can continue to provide you with roofing services for years to come as you conduct business safely from under one of our roofs. If you need assistance with your commercial or industrial roofing needs, you can reach Dynamic Alliance Roofing at(920) 221-3330.